Ireland have been beaten 5-2 by China in their second match of the Berlin Four Nations Cup. China, ranked eighth in the world, twice took the lead through Meiyu Lang and Mengling Zhong. 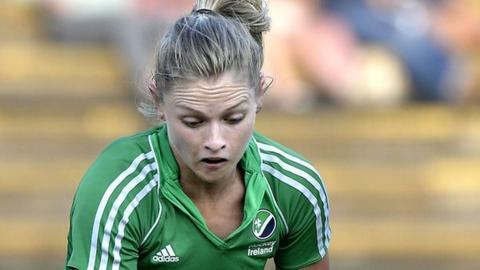 Ireland, seven below their opponents in the rankings, levelled firstly with a Chloe Watkins penalty stroke and then a solo goal by Roisin Upton. The Chinese netted three without reply to clinch victory over the Irish who play Korea on Sunday (11:00 BST). In their opening game on Thursday, Ireland beat 2016 Olympic bronze medallists Germany 2-1.